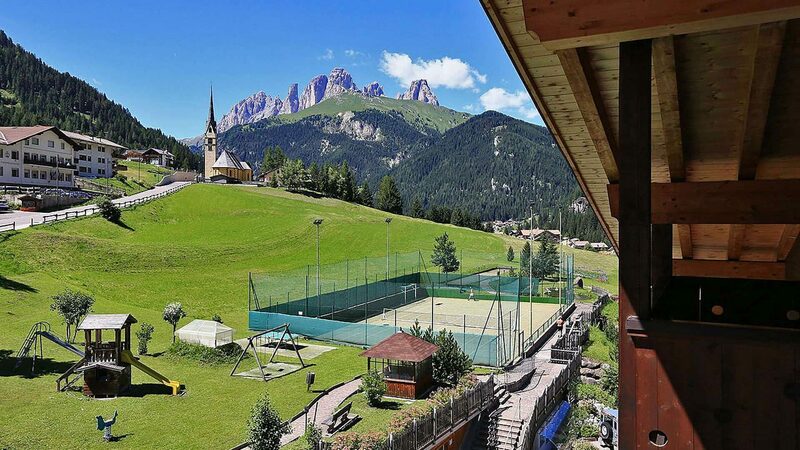 The Alpe hotel has a tennis court in synthetic grass suitable for playing soccer to 5, bowling alley, small gym, a 2-lane bowling for exciting challenges, billiard room with two tables, one large with narrow holes for professionals and one small with large holes for the less good … For the little ones we have a games room – mini club and outdoor playground. The Hotel Alpe’s owner, Olivo, and his son Mattia, are ski instructors, belonging to the glorious ski school CANAZEI-MARMOLADA and are waiting for you, to specialize you in the technique of alpine skiing, on the ski slopes of Canazei, and to welcome you into their Hotel, in the enchanting Valle di Fassa. 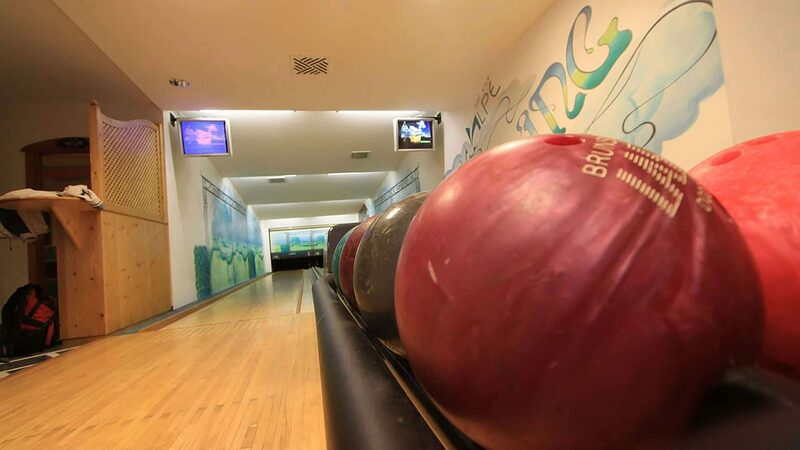 Inside the hotel Alpe you will also find 2 bowling lanes with balls of various weights and electronic scoreboard. Ideal for exciting challenges after dinner, the price of bowling is EURO 3,50 per person per game. 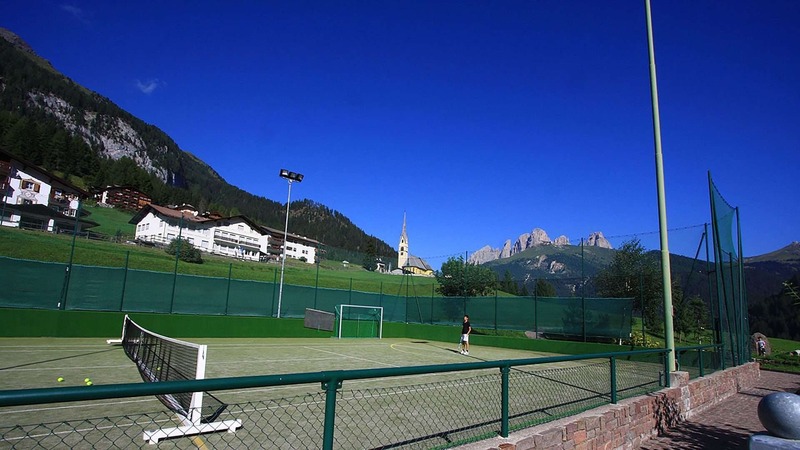 During summer we have a full size tennis court in synthetic grass, which can also be used as a field for soccer games. 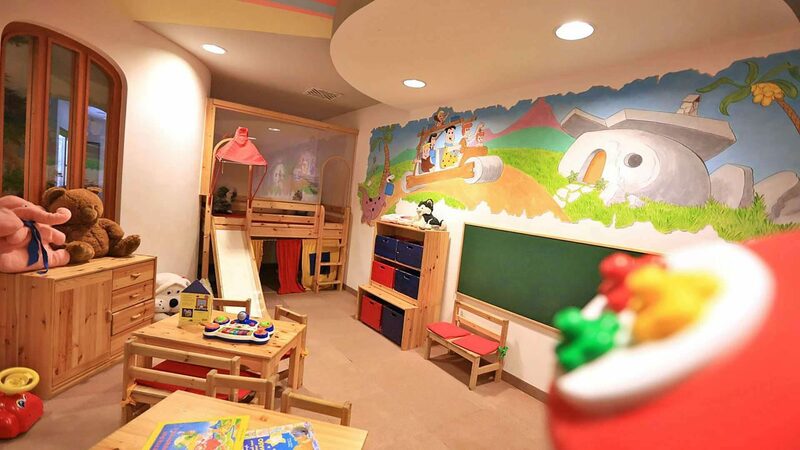 The Alpe hotel has a games room for children with books, colors, mini castle with slide, kitchens game where your little ones will love to spend time to play and socialize with other small hotel guests. Outdoor playground with slides, bowling green and much more.